Parliament Speaker Cemil Çiçek was the guest yesterday of the traditional Diplomatic Correspondents’ Association. A provisional clause in the fourth judicial package being debated in the Parliament will not lead to a retrial of the convicted leader of the PKK, Justice Minister said. Parliament’s Constitution Conciliation Commission is not writing a new charter, but rather revising the charter formed in 1982 after the military coup. A solution to the Kurdish issue will help Turkey boost its democracy, national income and technology..
Recalling that the Ottoman Empire was a state founded on a federal system, PM Recep Tayyip Erdoğan. Members of the outlawed Kurdistan Workers’ Party (PKK) should complete. Öcalan declared the first step of the negotiations a ceasefire to be followed by the withdrawal of armed. Greek Cypriots have a long and arduous road ahead as they try to recover from their economic meltdown. BDP co-chair Demirtaş says the government should take new steps for the PKK withrawal. The streets of Sumer, a small Istanbul neighborhood, are narrow and lined with smoky teashops where men play cards all day. Apartments are multi-colored, five-storied, architectural hodgepodges, the type found in most neighborhoods of Istanbul. Istancool, the international festival of art, culture and ideas aiming to enhance..
İyi bir anayasa yapılması için ilk yapılacak şeyin her şeyden önce Anayasanın başlangıç bölümünün iyi düzenlenmesi gerektiğini söyleyen Prof. Dr. Hüseyin Hatemi, “Hukukun temel ilkesi, temel kavramı Hak’tır. Hak’ta hukuken korunan, menfaattir. The Greek Cypriot foreign minister called on Turkey to take a joint first step. After helping heal a rift between Israel and Turkey, analysts wonder whether President Obama will bring the same doggedness and personal involvement to pursuing peace between Israelis and Palestinians. Turkish and Israeli officials will meet on April 12 for breakthrough talks over compensation for a deadly 2010 flotilla raid, for which the Jewish state apologised last week, the Turkish prime minister said Friday. On the day that Turkish Foreign Minister Ahmet Davutoğlu made a statement about the possibility.. I was in Israel last week, right after Israel’s apology for any wrongdoing..
BEIRUT, Lebanon, March 26 (UPI) — The rapprochement between Israel and Turkey is expected to have a significant strategic effect on the turbulent region. Amazon looked back to its roots in bookselling and forward to its future as the global overlord of all human literary output by announcing its plan today to purchase social reading site GoodReads. Google Plus recently overtook Twitter in terms of the number of active users. How? Google Plus has a number of killer features which are driving its growth and helping it steal precious attention away from the established social networks. Here’s a look at several of them. The flood of software patents has created an environment where companies are afraid that innovation leads to being hit by patent lawsuits. Every dollar spent fighting patent trolls and or waging patent wars is a dollar not spent researching, developing, and creating jobs. The situation is so bad that, in 2011, Apple and Google spentmore on patent litigation and buying patents than they did on research. So it’s no surprise that some companies are looking for new ways to navigate the patent system while promoting openness and innovation. Behind the scenes, just about all of the web’s biggest names are mimicking Google. That includes Facebook, Yahoo, eBay, Twitter, and so many more. On Tuesday the LGBT rights group Human Rights Campaign began encouraging supporters to change their Facebook avatars to a pink and red equals sign, their (temporary?) logo. In true generative fashion they have also adopted remixes of the logo, which they are displaying on their own site (see left) and they are using the increased awareness brought by the campaign, and by the gay marriage cases currently in the Supreme Court, to raise money for their organization. They’re a savvy bunch. Unique in the Crowd: The privacy bounds of human mobility, a Nature Scientific Reports paper by MIT researchers and colleagues at Belgium’s Universite Catholique de Louvain, documents that 95% of “anonymous” location data from cellphone towers can be de-anonymized to the individual level. That is, given data from a region’s cellular towers, the researchers can ascribe individuals to 95% of the data-points. Sam Biddle writes that this week’s epic, internet-shaking DDOS was a lie. Spamhaus was indeed under a record-size denial-of-service attack, but the protection company it hired, Cloudfront, turns out to be the only source of the bigger story that went with it: that the internet at large was significantly affected. The Internet has been groaning under the weight of a massive distributed denial of service (DDoS) attack on the Domain Name Service, apparently aimed at anti-spam vigilantes Spamhaus, in retaliation for their blacklisting of Dutch free speech hosting provider Cyberbunker. At 300 mbps, the DDoS is the worst in public Internet history. The Internet may have been slowed by one of the largest cyber attacks ever seen, which targeted a group that patrols the Web for spam, security experts said. from EFF.org Updates by Adi Kamdar and Adi KamdarLast Monday, a number of organizations, companies, and individuals came together for a Week of Action against the dangerous cybersecurity bill, CISPA. Though thousands of people answered our call to action, the fight is far from over. Social media is without a doubt a pivotal part of helping any new business grow. But in the maelstrom of social media options, many businesses are overlooking one of the most basic and important options at their disposal: blogging. Here are three key ways blogging is still a powerful tool. GeoFeedia was not originally designed to support humanitarian operations. But last year’s blog post on the potential of GeoFeedia for crisis mapping caught the interest of CEO Phil Harris. So he kindly granted the Standby Volunteer Task Force (SBTF) free access to the platform. In return, we provided his team with feedback on what features (listed here) would make GeoFeedia more useful for digital disaster response. This was back in summer 2012. I recently learned that they’ve been quite busy since. Indeed, I had the distinct pleasure of sharing the stage with Phil and his team at this superb conference on social media for emergency management. After listening to their talk, I realized it was high time to publish an update on GeoFeedia, especially since we hadused the tool just two months earlier in response to Typhoon Pablo, one of the worst disasters to hit the Philippines in the past 100 years. EFF has long called on companies to publish the number and type of government demands they receive for user data. We think it’s important enough to be one of the stars we award in our Who Has Your Back? campaign started in 2010. Users make decisions every day about which companies they entrust with their thoughts, photos, contacts, identities and location data. In order to make informed decisions users — especially those at risk from repressive governments or engaging in political activism — need to know how often the government is seeking that information from their providers. Cyber-savvy folks are arguing for such new etiquette rules because in an information-overloaded world, time-wasting communication is not just outdated ? it?s rude. Living according to the gospel of technological efficiency and frictionless sharing is fine as a Silicon Valley innovation ethos. But etiquette norms aren?t just about efficiency: they?re actually about building thoughtful and pro-social character. A group of Turkish hackers who call themselves Redhack have published the cell phone numbers of Melih Gökçek, the mayor of Turkey’s capital city Ankara, and his security guard on Twitter in retaliation against the mayor for publicizing the cell phone number of a college student. What can and can’t be found with a search engine? Akademisyen ve uzmanlar Kadir Has’ta YENİ MEDYA ve EĞİTİMi tartışacak! Kadir Has Üniversitesi Yeni Medya Bölümü tarafından Yeni Medya kavramının çeşitli alanlardaki dönüştürücü etkilerinin ortaya çıkartılması amacıyla her yıl Nisan ayında düzenlenen Yeni Medya Konferansları’nın ikincisi 16 Nisan Salı günü Kadir Has Üniversitesi Cibali Kampüsü’nde yapılıyor. – Yeni Medya, öğretmen, öğrenci, okul, eğitim ve öğretim kavramlarını nasıl etkiliyor? – Dijital Yerliler Sosyal Medya üzerinden eğitilebilir mi? – Türkiye’nin ileri bir refah toplumu olması yolunda Yeni Medya okur-yazarlığının rolü ve önemi ne? Bunun için devlet, kamu ve özel kuruluşlar ile sivil toplumun üzerine düşen görev ve sorumluluklar neler? gibi sorulara yanıt aranacak. İsimler alfabetik sıraya gore yazılmıştır. Geçen Nevruz’un barışın milâdı olduğu giderek kanıtlanıyor. Allah “özbeöz Türklerden”, MHP yönetimi ile CHP’nin şahin kanadı gibi sorumsuzlardan korusun. 23 martta da İstanbul Politikalar Merkezi’nin himayesinde, Ömer Madra’nın başını çektiği, pekçok sivil kuruluş ve eylemcinin hazırlık çalışmalarında bulunduğu İstanbul İklim Manifestosu yayımlandı. Barışı kurarken, onun temelini atacak olan anayasa yazımına neden yoğunlaşılamaz? Çünkü daima “tek çare”lerden medet umarız. Bir iş yaparken diğerine pek yoğunlaşamayız. Bir ara anayasa yazımı vardı, herkes ve en başta bugün “barış kendiliğinden her şeyi çözmeye kadirdir” diyenler o anayasa için uykusuz geceler geçirdi. Ama unutuverdiler, daha iyisini bulduklarını düşünerek. Halk, barışın başaktörleri Erdoğan ile Öcalan’ı başkan yaparsa da yapar. Geriye kalan ekalliyete de tahammül etmek, ya da çekip gitmek düşer. Rapordan bağımsız olarak, barışla bağlantılı üç konuda Ankara’dan gelen bilgiler şöyle: Vatandaşlık tanımı konusunda, AKP ile BDP’nin teklifleri “Türkiye vatandaşlığı” kavramına vurgu yapar nitelikteyken CHP’nin verdiği teklifte Süheyl Batum’un ısrarı ile “Türk vatandaşlığı” vurgusu bulunuyor ama aynı cümlede vatandaşlıktan da bahsediliyor. Türkçe dışındaki anadillerde eğitim konusunda AKP’nin teklifinde muğlâk bir “herkesin eğitim hakkına sahip olduğu” vurgusu yapılırken, CHP’nin teklifi carî anayasanın 42. maddesindeki Türkçe dışında kalan dillere getirilen yasakla başlıyor. BDP’nin teklifi tabii daha liberal. Ademimerkeziyet konusunda AKP 1982 Anayasası’nın aşırı merkeziyetçi ruhuna sadık. CHP idarî vesayeti hafifleten bir teklif getiriyor. BDP’nin teklifindeki “bölgesel ve yerel kamu idareleri”nin uygulanabilmesi için ise yeni anayasada idarenin ademimerkezî olduğu ilkesi, bölgesel idarelere kamu tüzel kişiliği ve idarî vesayetin alenen kaldırılması gerekiyor. Henri Barkey yazmasa haberim olmayacaktı. Haber basında yok. Başbakan Nuri El-Maliki’nin gadrine uğrayan Cumhurbaşkanı yardımcısı Tarık El-Haşimi’den sonra Maliye Bakanı İssawi de Maliki’nin otoriter gidişatını protesto ederek aybaşında istifayı basmıştı. Haşimi için çıkarılan tutuklama kararından sonra Maliki’nin hedefindeki İssawi’nin yardımcıları terör suçlamasıyla tutuklanmıştı. Geçenlerde Maliki hükümeti İssawi’yi tutuklamak için helikopter takviyeli bir silâhlı kuvvet yollamış. Sünni Abu Risha kabilesinin koruması altındaki eski Bakan şimdilik kurtulmuş. Barkey bu son hamlenin Irak’ın bölünme sürecini iyice ciddileştirdiği görüşünde. ABD’nin de ne yapacağını bilemediğinin altını çiziyor. Kürdistan Bölgesel Yönetimi ile Bağdad arasındaki yabancılaşma giderek derinleşiyor. Sünnî unsurun Şii ağrılıklı Bağdad hükümetine muhalefetinin sonunda Araplar arasında içsavaş ve bölünme yolda. Suriye’deki Sünnî muhalefetin giderek artan gücü bu gelişmeleri birebir etkiliyor. Akl-ı selim “federasyon” dese de Irak’ın muktedirleri çatışmaya hazırlanıyor. Parliament’s Human Rights Examination Commission has approved a report drafted by a subcommission. For a long time, it has been the case of “journalists under arrest” that has been used as a reference. A Diyarbakır military judge sentenced a private to four years and five months in prison for killing Armenian-Turkish soldier Sevag Balıkçı. MAZLUMDER Association Chair Ünsal and Özgür-Der Association Diyarbakır Chief Representative Yılmaz criticized the parliamentary report on Roboski Massacre which concluded that the Turkish military’s air strike was not on purpose. Amnesty International has launched a global campaign urging Turkey to amend 11 articles in the 4th judicial package. 8-21 Nisan’ı 16. “İnternet Haftası” olarak kutlamaya çağırıyoruz. Bu konuda bazı öneriler ekteki katilim cagrisindadir. 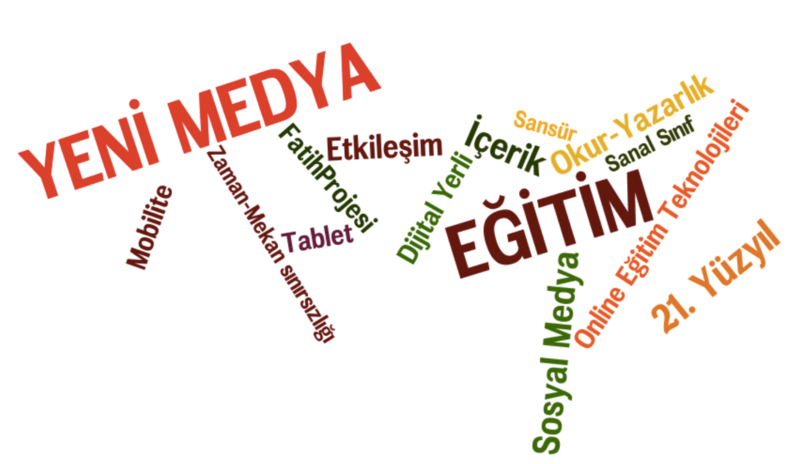 ya da bannerlardan birini yayınlayabilir, ve webte Destekleyenler arasında listelebilir.